If you share a bathroom with a significant other, then you know, space for our girlie products can be scarce! So if I say I’ve made room in the shower for something new, you know I must be obsessed. The latest product to score the coveted tile space is actually a trio that includes a body wash, sugar scrub, and light weight moisturizer. 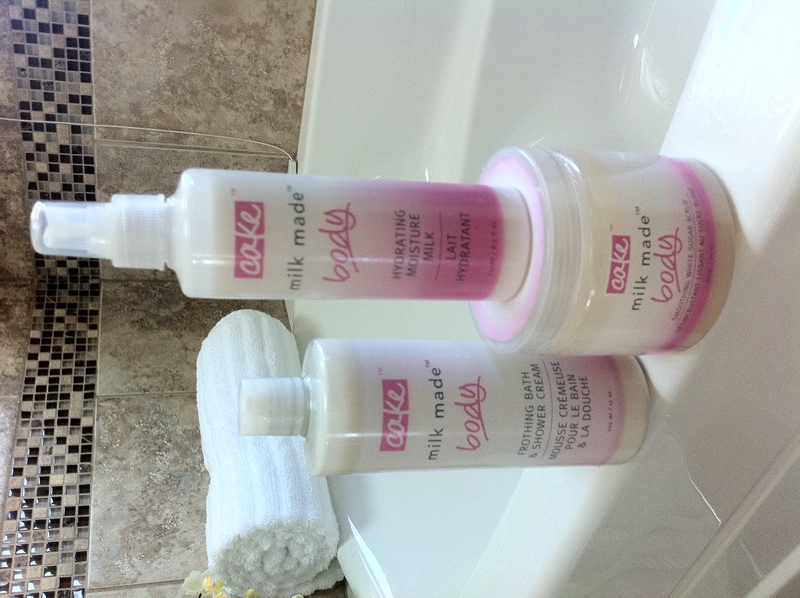 All made by Cake Beauty, they’re part of the “Milk Made” collection. Sugar scub, made with real sugar granules! The heart of the collection is the Smoothing White Sugar Scrub. It’s actually made with real sugar granules! (I know, I tasted it!). A lot of spas offer salt scrubs, but sugar is less harsh, and actually helps hold onto the moisture from the shower. I’m obsessed right now because with the cold weather setting in, the only part of my body that I can bare is my shoulders. And they are fish-white right now! But by using a drop or two of the body wash on a sponge, then following with the sugar scrub, I can feel the dull, dead skin sloughing away down the drain. Both products are infused with vitamin-packed milk powder, and nourishing shea and coco butters, so they not only exfoliate, they actually hydrate and nourish, all at once. The last step is the Hydrating Moisture Milk. Infused with all the same natural goodness, it comes in a pump that you can mist over your entire body. No more straining to reach your back! What I love about Cake is that their products are not only good for you, they’re also good for the environment. 95% of their products are made with whole, natural ingredients that you can actually pronounce. And they’re all 100% paraben free! Plus, all their packaging is reuseable and recyclable. And all their products smell delicious!!! The Milk Made collection smells like vanilla cookies with a hint of raspberry… yummy! 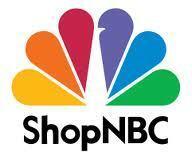 I’ll be show casing the entire Cake line on ShopNBC this Friday at 10pm EST, (9 pm CST, 7 pm PST). 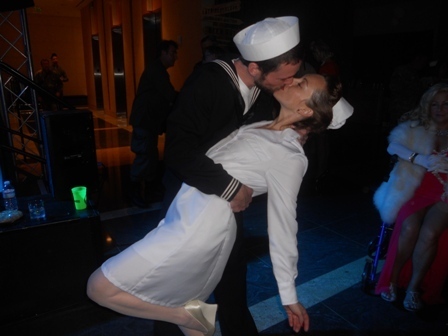 GI Jane Halloween Hoorah… the photos! G.I. Jane’s first annual Halloween Hoorah was a huge success! Hundreds turned out, in costume, to support deployed single mothers and their families. 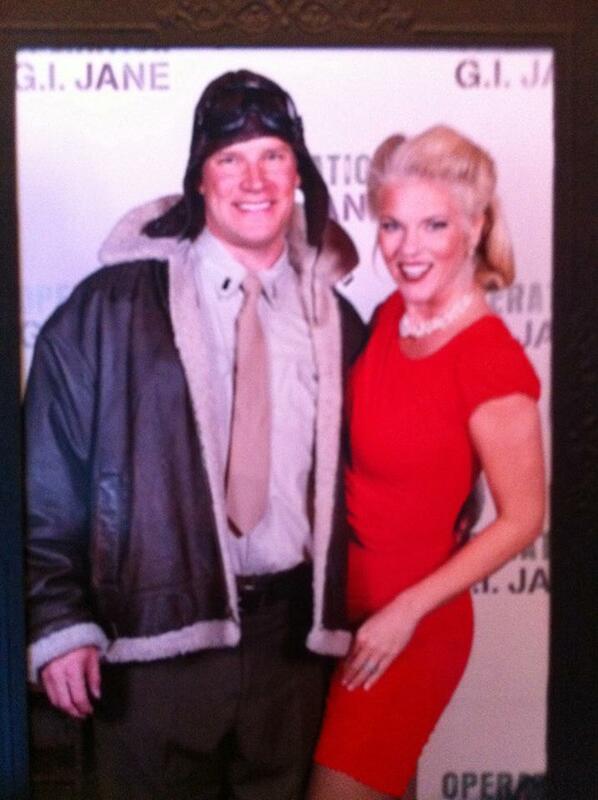 WWII Pilot, and I was his pin-up girl! One of the evening’s highlights was the costume contest that I judged, along with event founders Jula Jane and Keith Coggins. 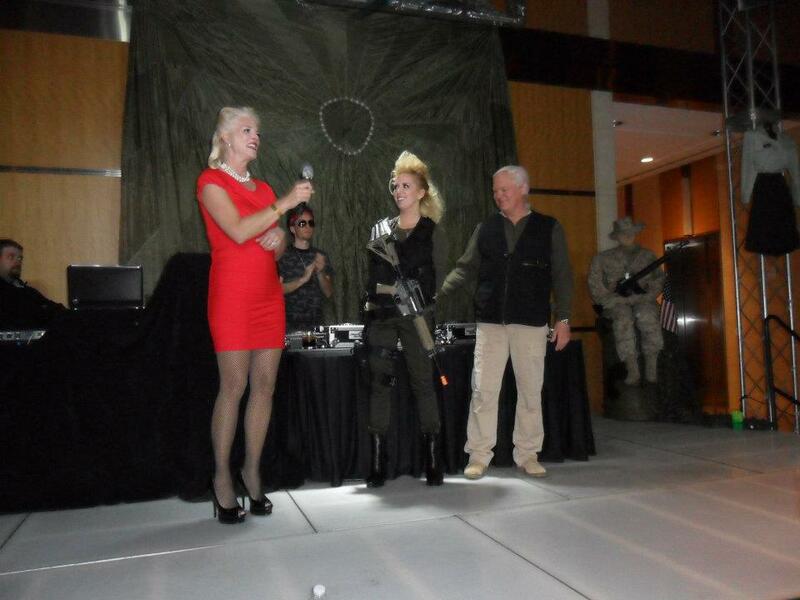 David and his pilot costume was in the top three, along with CNN’s Bonnie Schneider dressed as a USO Girl. 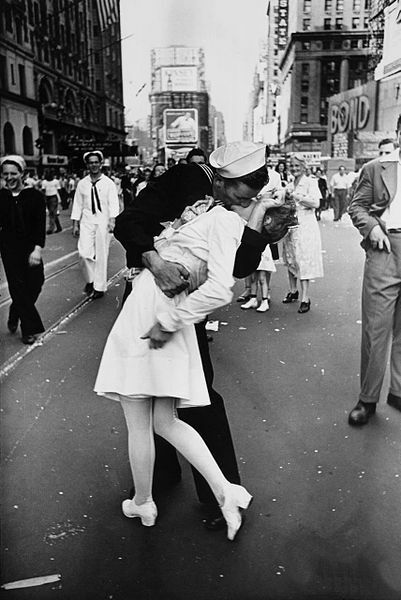 But the hands-down winner of the grand prize was a couple who emulated the Legendary “Kiss” that was captured on film on “V” Day in Times Square, at the end of WWII. Take a look at the original photo, and you’ll agree, they deserved to win! All in all a wonderful night. You are currently browsing the The 40 Year Old Mommy blog archives for November, 2011.